In the section below I am including things I like to do or see. I went to Phoenix Comicon 2013 over the Memorial Day weekend (5/24-26) and enjoyed the experience with about 55,000 of my closest friends! The thing that strikes me about the entertainment people who come to these conventions is how sincerely nice they tend to be. These people often say that they really appreciate the fans and fully realize they get to do some of the fun stuff they do because of us out here. They are often amazed at the affect they have had on people's lives 5, 10, 15, and even 20 years after their shows were on the air. This was the 4th one of these I had attended (all the ones since they moved to the Phoenix Convention Center) and each one has been bigger than the year before. I have been to 7 as of 2016. For 2016 the attendance was 106, 096. It's come a long way. The Phoenix Comicon web site can be found here http://phoenixcomicon.com . 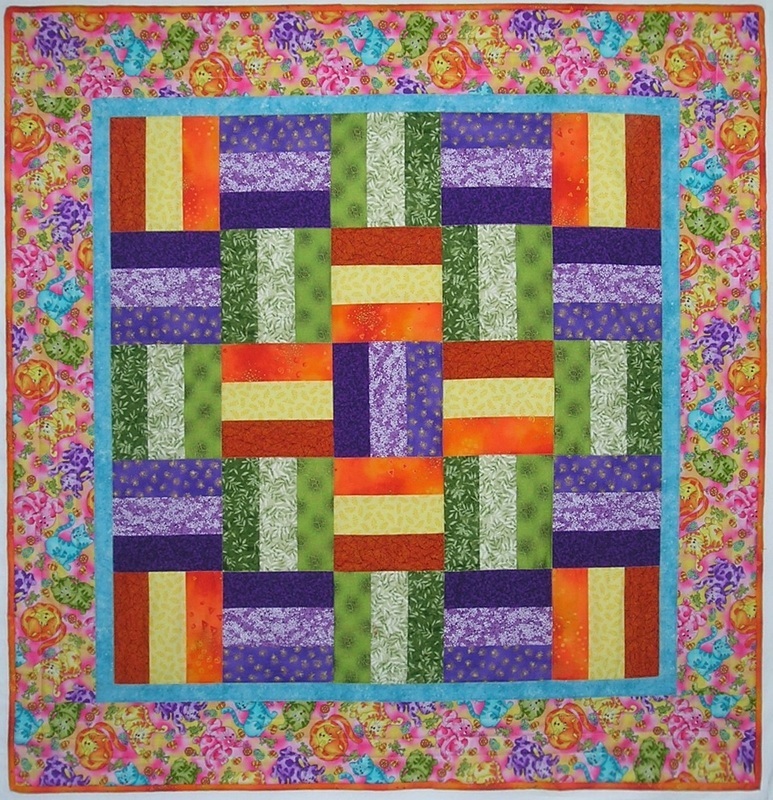 Here is the first quilt top I have sewn. I started it before my health incident at the end of August 2013 and finished it about a month after that. Below is a larger version. My wife, Susan, was very patient with me and helped me pick out all the fabrics and showed me how to sew everything. It's actually way more straight than it looks in the photograph which kind of distorts everything. 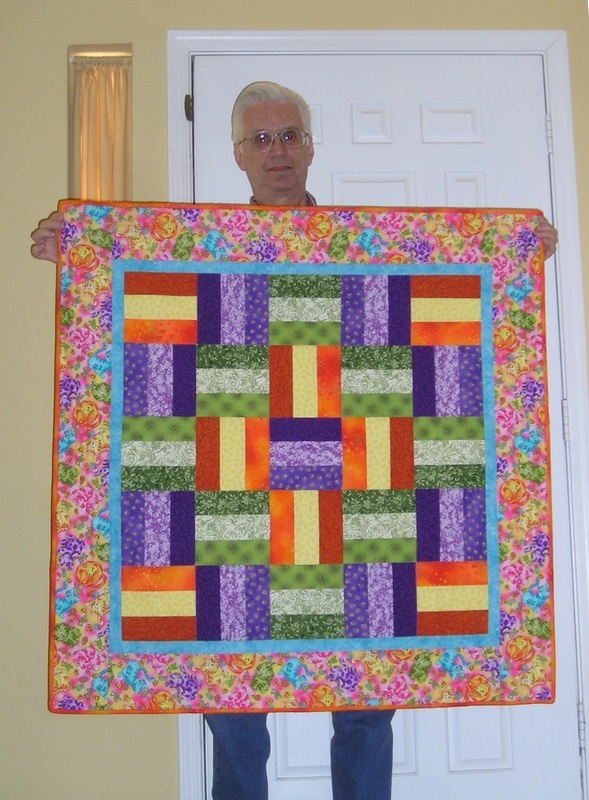 The picture below is after quilting and adding the binding so that it is complete. I finished it just the week before Christmas in 2013. That's me below showing off the finished project. Below is an antique radio club swap meet I attended in 2013.